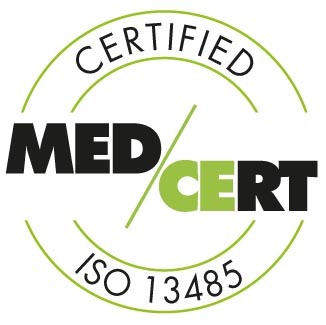 The Pentracor GmbH was founded in 2010 and since November 2014 the Pentracor GmbH is certified according to EN ISO 13485:2012 for the production and distribution of CRP-Adsorbers. Dr. rer. nat. Ahmed Sheriff - Original Shareholder and CEO - is a biochemist with many years of research experience on inflammatory diseases at the Institute of Clinical Immunology at the University of Erlangen. Dr. Sheriff initiated and led the biotech company Genethor GmbH. From 2007 to 2008 he was the manager of the European Federation of Immunological Societies. From 2007 to 2010 he was also the manager of the German Society for Immunology. He has a guest laboratory at the Charité - University Medicine Berlin. He is the inventor or co-inventor of 26 patents and registrations. Dipl.-Ing. (FH) Biotechnology Birgit Vogt - Original Shareholder and CSO - has long-standing experiences in the applied medical research (Fraunhofer Institute of Toxicology and Aerosol Research, Hannover; Heinrich Pette Institute, Hamburg; Charité - University Medicine Berlin) as well as in the inception and management of enterprises. Ms. Vogt was responsible for the organization of the experimental research at Genethor GmbH. She has a teaching assignment for biotechnology at the Beuth University of Applied Sciences Berlin and is inventor or co-inventor of 12 patents and registrations. Dr. vet. med. Burghard Thiesen – Head of Clinical Research and Safety Officer for Medical Devices - is a veterinarian. His doctoral thesis (at the Schering AG in Berlin) was about cellular effects of angiographic contrast media. From 1985 to 1989 he worked on surface structures of bacteria at the Institute of Microbiology and Animal Hygiene at the Free University of Berlin. Between 1989 and 1992 Dr. Thiesen did research in the field of immunology of bacterial infections at the Max Planck Institute for Molecular Genetics in Berlin. From 2002 to 2007 he worked in a research project termed "Nanotechnology in Medicine" at the Charité - University Medicine Berlin. Between 2007 and 2012 he was responsible for the risk management and clinical trial management in the approval process of various medical devices (Class II and III) at the MagForce AG in Berlin, Germany. Dr.-Ing. Gunnar Janelt – Head of Production - is a PhD and graduate engineer in biotechnology. From 1999 to 2005 he was head of production at the Affinia Immuntechnik GmbH, later Fresenius Medical Care Affinia GmbH, where he developed and established the production of immunoadsorbers. In addition, the quality management system has been built up and organized by him. From 2006 to 2011 he worked at the Charité - University Medicine Berlin in the Division of Nephrology and Intensive Care Medicine. He accompanied the project "Development of a CRP adsorber" to treat acute myocardial infarction right from the beginning. He is co-inventor of three patent registrations. Dipl.-Ing. (FH) Biotechnology Gülcan Yapici – Quality Manager and Head of Regulatory Affairs - has accompanied the development project from the beginning as a research project at the Charité - University Medicine Berlin. She has made her diploma thesis at the Department of Trauma and Reconstructive Surgery at the Laboratory for Gene Therapy and Inflammation. Dipl. Betriebswirt (FH) Daniel Kaiser – heads the Finance division - brings 27 years of supply and operations management experience from a pan-European retail group. There he headed units in logistics and accounts payable and trained executives for many years. Vet. med. Christopher Bock – Deputy Safety Officer for Medical Devices and Clinical Research - is a veterinarian. He also accompanied the development project right from the beginning of the research project at the Charité - University Medicine Berlin. Dipl.-Biochem. Stephan Mattecka – Project Manager Adsorber Technology - is part of the development project since 2010. He completed his diploma thesis about pentraxins of different species at the Department of Nephrology and Internal Intensive Medicine (Charité - University Medicine Berlin - AG Sheriff). He is co-inventor of one patent.